The Internet is aflutter about the “dueling documentaries” that chronicles the Fyre Festival disaster in 2017. 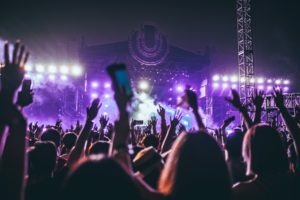 The festival (positioned as an “immersive music festival”) was the brainchild of entrepreneur-turned-fraudster Billy McFarland. He assembled a team of the best and brightest in their respective fields and sold them a false bill of goods in the process. Hundreds of festival-goers, models, musicians, etc. were promised an experience that seemed too good to be true. His real motivation was to promote The Frye media app. These celebrities weren’t paid, but many received perks like complimentary airfare, festival tickets, and accommodations in exchange for taking to social media to promote what was billed as the event of the year. So did this strategy work? The proof was in the conversion. Jenner’s post alone produced a crazy amount of impressions on Instagram, immediately surging ticket sales. 2. Social media campaigns can net real results. The hundreds of people who did show up for the would-be festival were met with miserable living conditions. (Think disaster relief tents.) The fare, which was sold as gourmet and top-shelf, was a cold cheese sandwich dinner served in a Styrofoam box. Medical care and security were non-existent. The list of deceptions goes on and on. As you might imagine, these influencers (400+ of them) did what they do best: take to social media. They shared the bad and the ugly of the hours on the island. Their fans followed along as the situation went from bad to worse. If there was any hope for a Fyre Festival 2.0, the negative publicity and the fraud likely destroyed it. So, it is imperative to strive and deliver an exceptional customer experience. In the event, something does go awry, get in front of it to avoid something from spinning out of control. McFarland, confident beyond measure, never apologized for the travesty that was Fyre Festival. He burned many bridges and could not deliver what he promised. There were several moments in the documentary which seemed to suggest he could have dismantled the whole plan and come clean with the people he took advantage of in the festival. However, being seduced by power and fame as he was, he pressed on—at the expense of so many. If you watched either documentary, what was your biggest warning sign that the festival was too good to be true?